Searching on Google or DuckDuckGo for "Lady Gaga university" returns several websites sharing the tweet or the claim. Current groups on Facebook with that name have all been created in the last 2 days (i.e. after the tweet was written). I understand that the original group might have been deleted or might not be publicly reachable, so the the last two points above might not be as significant. Reverse-searching the image on Google finds this page from 2016 that links to this other page. In this last piece, the author claims they saw such a group, but they offer no proof for that. Also, they claim that they saw its contents, while the tweet shares an image of a group whose contents cannot be accessed by outsiders. So, did such a group exist before August 2008? It's not entirely impossible that this group existed in some form. 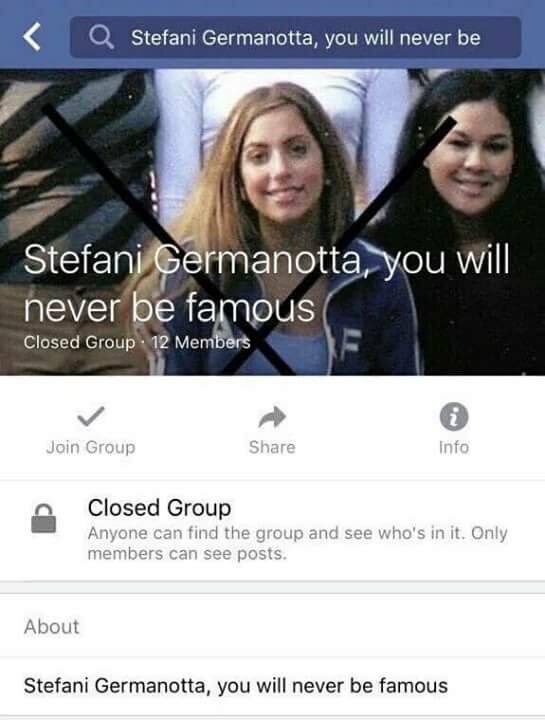 Lady Gaga left NYU in 2005, at which point there were already groups devoted to defaming people on Facebook. I also remember one dude posting a flyer for one of her upcoming gigs at a local village bar. He had clearly stomped on the flyer, an outline of his muddy sole [soul] struggling to eclipse her name. 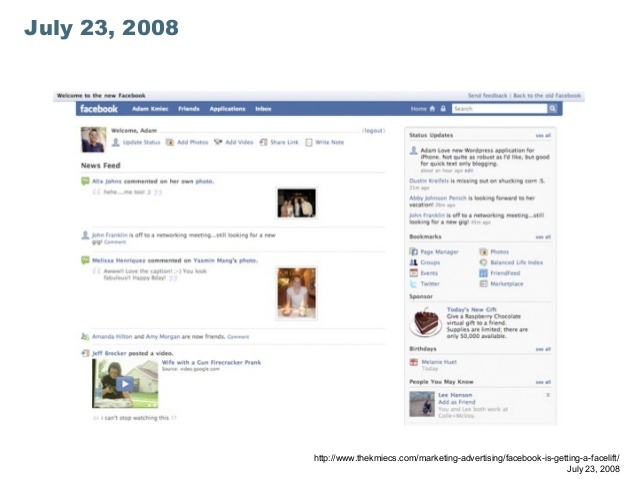 In 2005, Facebook groups did not yet have photos. You can confirm that by reading this prolix 2006 undergraduate term paper about beer-related Facebook groups. “Nati Light Drinkers of America” in ohio.facebook.com has a membership of 2053 people at the time of this writing (March 12, 2006). There are odes, poems, feeling of admiration, stories that reminisce the first time the person drank Natural Light, and other messages involving Natural Light. [... My] research could not prove or disprove the actions on Facebook. The reason that the love for Nati Light was expressed through poems and messages, and that this zealous beer group researcher could not prove that alcohol consumption was going on, is that users could not post photos to groups at the time. (You could also confirm that statement through this Mashable article from August 2006, which notes that photos are uploaded exclusively to profile pages.) I'm not sure when exactly photos were added to Groups but it was before this blog post in 2009. Lauren Bohn may have seen a group with photos of Lady Gaga at some point, but she did not see it when Lady Gaga was an 18-year-old NYU student. She may be remembering a real group that existed in 2005, but if that's the case, her memory has been severely distorted over time. Not the answer you're looking for? Browse other questions tagged facebook .